Drivers for rideshare companies like Uber and Lyft can now use one business license in California under new state legislation, rather than licensing in each city they work in. 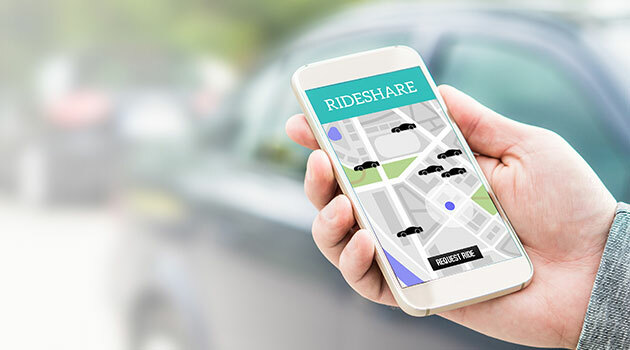 The concept of ridesharing has undoubtedly transformed the transportation landscape—but a new California law for the industry will also change the contours of the business world. The state’s legislature passed a measure last month allowing Uber and Lyft drivers to file for a single business license that works in each of the Golden State’s 482 municipalities. Called SB 182, the measure permits rideshare drivers to register in the town of their residence alone, rather than forcing them to carry separate business licenses—and pay the annual fees—for each city in which they work. Many in the business community cheered the Uber- and Lyft-backed bill, especially drivers for the companies, who have spoken in the past about the burdensome paperwork and annual fees attached to the licenses. Others—including the bill’s sponsor, state Senator Steven Bradford (D-Gardena)— said it was time to update the model. Driving is, by its very nature, a mobile business, Bradford argued, and someone piloting a rideshare vehicle may not even know on a given day which cities he or she will be directed to—let alone be able to compile all the proper papers to officially work there. Still, while the business license rules may have been onerous, despite being rarely enforced, some in the state—including officials with the League of California Cities—said they served an important purpose, and shouldn’t have been done away with so easily. The work permits helped cities track—and pay for—their road usage, League officials said. With the new law letting drivers register in one place but primarily work elsewhere, it could lead to greater wear and tear on certain city streets, and leave the area without the proper funding (or logistical information) to help solve the issue. Complicating the issue is the legal limbo rideshare drivers find themselves in as employees. Technically, the drivers are considered contract workers by Uber and Lyft, which is why they were subjected to the freelance business license rules to begin with. But a number of lawsuits have taken aim at that status lately—with Uber even losing its case recently in England, where a tribunal of judges declared that drivers were full-time employees and merited benefits like vacation time and sick pay, among others. How a similar sea change in America could affect the new California law remains unknown, but what’s unquestionable is that Uber has delivered on its promise to “disrupt” the system.